How does a sensitive soul cope when the world around her seems to be going mad? I’ve been quiet in the online world – just popping in from time to time to put up a post and have a quick look around – because it is impossible to avoid news and discussion that it particularly stressful when you work in finance and shipping for a company that trades worldwide. 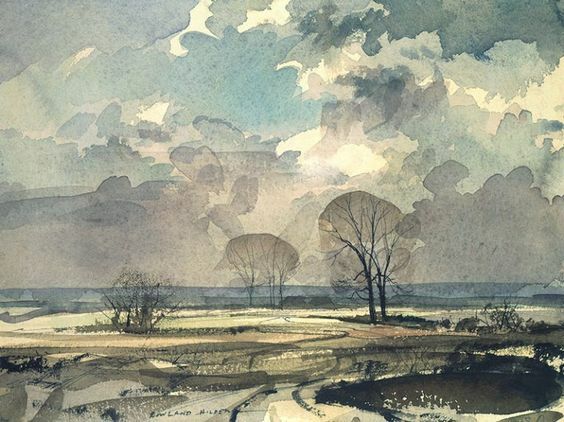 I had a lovely time putting together this month’s collection of Virago art, and I have other collections making steady progress behind the scenes. I haven’t had too much reading time, but I’m very happy with the seven books I finished. A Welsh Witch by Allen Raine – My book for Dewithon – this year’s Wales Readathon – tells the story of four young people who grew up in a small seaside community early in the 20th century. These characters, their experiences, and the world around them were beautifully realised; and that drew me right into the story.These characters, their differnrt experiences, and the world around them were woven together to make a wonderful story, and I’m looking forward to reading more of the author’s books. Tangerine by Christine Mangan – This is a cleverly plotted, character driven psychological drama in a vividly realised setting – a story of a toxic friendship and unspoken memories that plays out in Tangier. The comparisons – Patricia Highsmith, Daphne Du Maurier, Donna Tartt – are unrealistic but this is a compelling story and would be an very good holiday read. Daisy Jones and the Six by Pamela Jenkins Reid – I found myself first in the library queue for this book. So much has been written about it that I don’t think I need to explain what it is about, and I’ll just say that I thought it was very well done, and reading was akin to reading an extended piece in a quality music magazine. The House on the Cliff by D E Stevenson – This story of a young woman who unexpectedly inherits and falls in love with a house on the coast of Devon was a wonderful comfort read. The story plays to D E Stevenson’s strengths; it was full of engaging characters, interesting situations, and though I predicted how the story would play out early on I wasn’t sure how it would get there and finding out how it did was lovely. The Flower of May by Kate O’Brien – My book for Read Ireland 2019 is set early in the 20th century, and it tells the story of a younger daughter who loves her home and family but misses her convent school in Belgium and seizes a chance to travel with the family of her dearest friend. It is beautifully and clearly written, it has a wonderful cast of characters, and it would have sat very well with the selection of the author’s books that Virago reissued. I have another Dorothy Dunnett book in progress, I’ve just picked up my book for The Radetzky March Readalong , I have an unread Margery Sharp book lined up for The 1965 Club …. but otherwise I’m going to see which books call me next month. I’ve been listening to Bach, Debussy and Rimsky-Korskov; but when it comes to songs being sung my tastes are more contemporary; and I find that certain songs will always cast a spell over me. That’s why I have a playlist of songs this month instead of another list of books. It was meant to be a list of ten, but there were eleven songs that all had good reasons to be included. 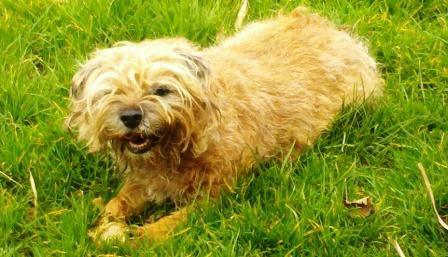 I will still love them this time next month, but I hope that I won’t need them quite as much as I do now …. February has Come and Gone …. …. and now it is a few days into March and it really is time I looked back and looked forward. I haven’t read quite as much as I did in January but I have got back into the habit of writing and I am very happy with what I did read. 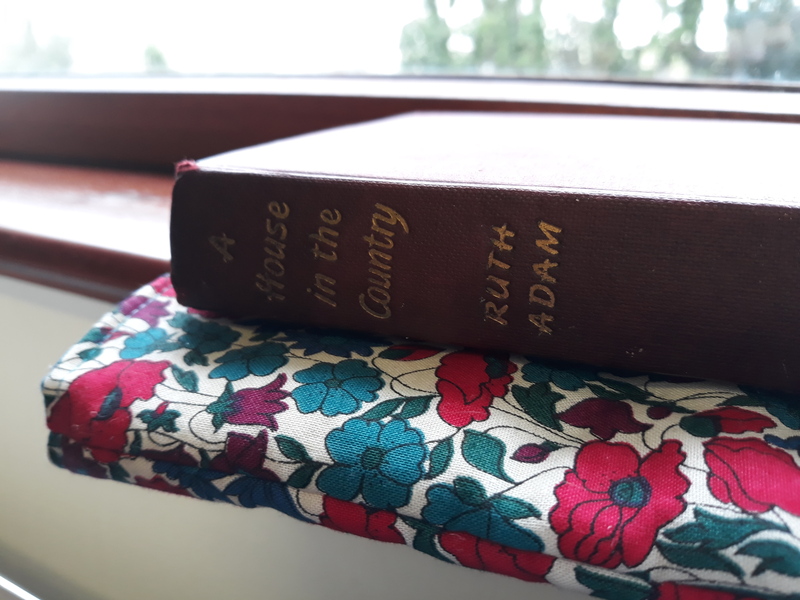 ‘The House in the Country’ by Ruth Adam – The story of a group of friends who find that if they pooled their resources they can buy the country house they dreamed of during the war. It’s a beautifully told story, it catches a period of social change wonderfully naturally, and I can’t help thinking that it ought to be a Persephone book. ‘The Strange Case of Harriet Hall’ by Moray Dalton – One of a range of intriguing new titles from the Dean Street Press, this is a character-led mystery story. It was wonderfully engaging and entertaining, it had some lovely and distinctive plot twists, and I already have another book by the author lined up. ‘Business as Usual’ by Jane Oliver and Ann Stafford – This book is made up of the letters of a young lady from Edinburgh who ventures down to London to find a job and a home of her own rather than sit at home waiting for her doctor fiance to find the time to get married. It’s wonderful fun, it catches her experience beautifully, and when I had to take this book back to the library I started to look for more of the work of this pair of authors. ‘Smallbone Deceased’ by Michael Gilbert – I see a great many British Library Crime Classics when I visit my local library, which is lovely but it means that it is rare that a single book catches my eye. This one did. It is a very well constructed mystery, set in a legal practice, and if I don’t say more that that it is only because it is the kind of book that it is difficult to say much about without spoiling it for other readers. ‘Kirkland Revels’ by Victoria Holt – My teenage self would have loved this book, but now that I have read so much more I could see the workings of the story. I had to keep reading, there was more than enough to hold my attention, I cared about what happened to the heroine; but when I reached the end I realised it was time to let go of books like this that I should have read years ago but didn’t. ‘Pawn in Frankincense’ by Dorothy Dunnett – I picked up this fourth book in the Lymond series as soon as I finished the third book and I loved it. The story progressed, characters grew, new characters raised new questions, there were plots twists that I saw coming but there were many that I didn’t. The settings and the set pieces were as good as I have come to expect, there were references and links back to events in earlier books, and though I don’t want this to be over I am so curious to see the whole story. Book five is ready and waiting …..
‘Greengates’ by R C Sheriff – This was my second ‘moving to the country’ book of the month, and I loved it almost as much as the first one. It tells the story of a retired couple who were struggling with the changes, the lack of purpose, that retirement had brought them. It was lovely following the details of their lives, the ups and downs of the move, and the settling into a new life. It made me think of my grandparents, who moved to an end of terrace house at around the same time, and moved next door a while later because they were seeing more and more motor cars driving along the promenade and they were worried that one of them would crash into the end house …. 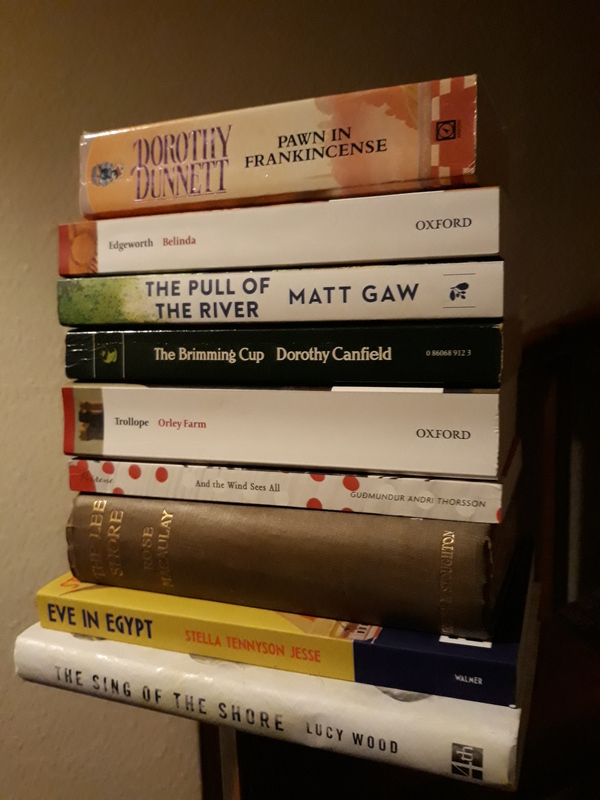 At the end of January I assembled a pile of books that I planned to read in February, but looking back I can see that I have only read one (‘The Disorderly Knights’ by Dorothy Dunnett) and made a start on one other (‘Eve in Egypt’ by Stella Tennyson Jesse) I had better not do that again. I still want to read the other books, but I picked some of them up and put them down again because they weren’t the right book for the moment, and other books called me more loudly than the books left on the pile. I will say than I plan to read something from Wales and something from Ireland. But I want to look back now, because sometimes it seems that books have their moment and then they disappear. I’m going to borrow a game from Audrey and look back at highlights of past February’s. I have ten years of archives now, so here are ten books that I think are well worth remembering. 2009 – The Great Western Beach by Emma Smith – This is a lovely memoir of a Cornish childhood between the wars, written with empathy and understanding, and balancing that with the child’s perspective wonderfully well. 2011 – Tapestry of Love by Rosy Thornton – Eight years ago I described this story of a middle-aged woman who moved to France after her children had grown and her husband had left as “a warm hug” and I really can’t think why I haven’t plucked the other books by the author from the shelf yet. 2012 – The City of Beautiful Nonsense by E Temple Thurston – I read about this in an introduction to one of her own books by Rumer Godden, She said “I bought the book and read it; even then I recognised how unashamedly sentimental it was – novels were sentimental at the turn of the century, and this was a love story – but, in spite of that, it’s evocation of Venice cast such a spell that it has been with me ever since…” and I have to agree. 2013 – The Fool of the Family by Margaret Kennedy – The second month seems to be my time for reading my second books by authors who would become particular favourites. I read my Virago copy of ‘The Constant Nymph’, I was curious about the sequel that follow the story of a relatively minor character from that book, and the library had that one in reserve stock too. 2014 – The Twelfth Hour by Ada Leverson – I have to smile at the memory of this romantic comedy, set in the summer season in Edwardian London. It really is a lovely confection. 2015 – Girl in the Dark by Anna Lyndsey – This is the story of a civil servant whose light sensitivity grew into a condition where she had to live in darkness, in a room completely and utterly blacked out, wrapped in dense, heavy clothing, because even the faintest hint of light – natural or artificial – would cause her agonising pain. At the time I described it as “the most astonishing, the most beautifully written memoir that I have ever read” and looking back now I am happy to stand by those words. 2016 – Red Pottage by Mary Cholmondeley – I read much praise for this strangely-titled Victorian Virago Modern Classic, I tracked down a copy, and when I read it I had to agree – and to wish that it was in print and that the author was better known. 2017 – The Trespasser by Tana French – Like all of Tana French’s earlier books, this was a fascinating contemporary police procedural; a compelling character study, written with real insight and understanding; a perceptive state of the nation novel; and a wonderful example of contemporary literary fiction. 2018 – Rough-Hewn by Dorothy Canfield Fisher – This is the prequel to a book that Virago published, exploring the childhoods of the married couple at the centre of that book. I decided that I should read it first, and it is a wonderfully rich exploration of the very different worlds of two children. Do try this – it stirred some lovely bookish memories for me. And tell we what you’re reading, what your plans are, and if there is anything interesting happening that I’ve missed.